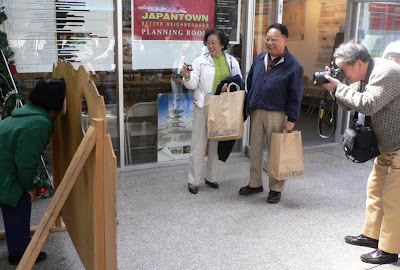 This is a fairly random bunch of photos from our visit to Japantown on Saturday. 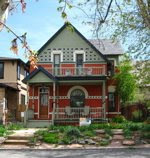 I was last there maybe eight or nine years ago. 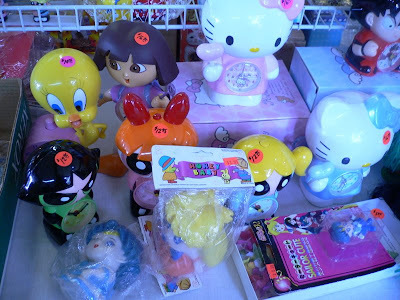 I wanted to go this time to visit the Ichiban Kan discount store and get some bento supplies. 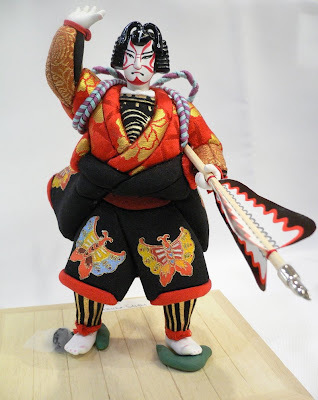 More about Ichiban Kan in a later post, as the things I got are all in the dishwasher right now. When we arrived, we discovered the Cherry Blossom Festival was going on! The streets were full of booths and mobbed with crowds. Everyone was having a good time, especially with the help of free sake being ladled out. We saw some colorful costumes, too. 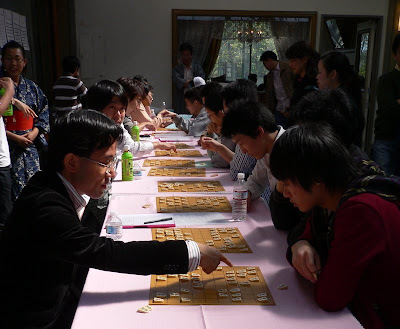 Many people were taking advantage of free shogi lessons, a kind of Japanese chess. Still others were having fun with photo opportunities. 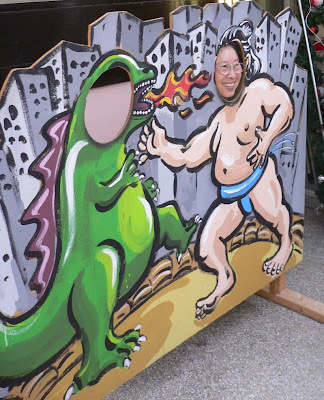 A Chinese tourist becomes a summo wrestler! 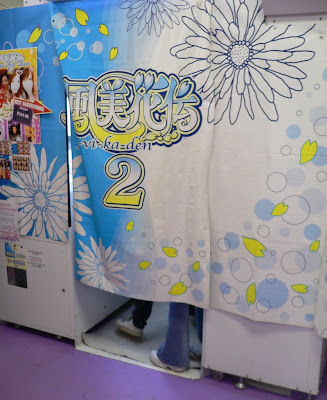 In the mall there is a store devoted to Purikura, or photo sticker booths. You get a bunch of friends crammed in there, take digital pictures and then enhance them with graphics and special effects. Little meat dumplings made by pouring batter into molds over grills and heavily garnished. I wish we could have tried them but the line was huge. 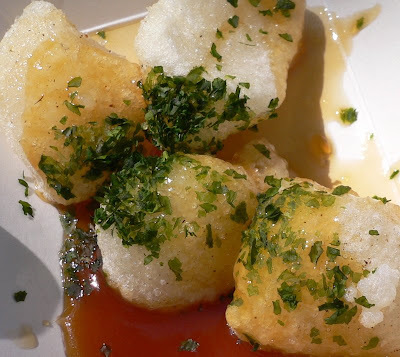 So we settled for deep-fried mochi instead, from a booth that featured a teenager with amazing lungs screaming "Moooooooooochi! Shaaaaave ice!" The girls who served us noticed me covering my ear and said, "At least you get to leave." By then we were ready to leave. But I plan to go back again one day when it's not so crazy. 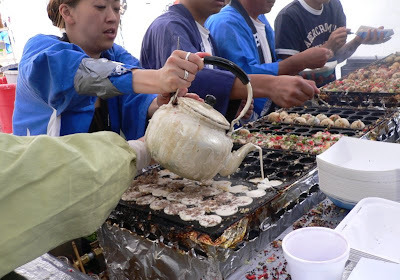 What a bonus to find this festival going on..the mochi look interesting - I've never tried it. ohmygod those meat dumplings!!!! must. have. LOL on her saying you could leave, too funny! Ok I need to go there. I've never been to Chinatown either. 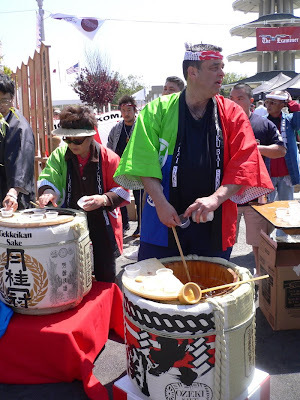 Japantown sounds like it would be a lot of fun, especially during a cherry blossom festival. 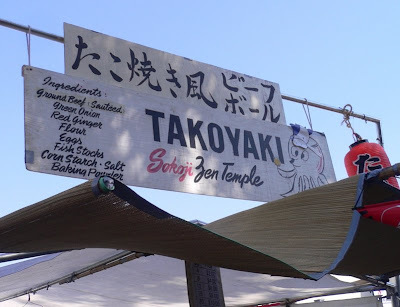 I want to try that takoyaki!